SONIDO DEL PRINCIPE is the best! And I don’t mean to sound like 15-year old groupie, but he f…g rocks in Cumbia department so hard I simply don’t see a proper competition to his skills at the moment on the Neuva Cumbia scene. I have been following his productions since Bersa Disco’s releases and they definitely rock my body and soul. Take this lovely, sunny, yet heavy and pumping mix full of exclusive edits and you’ll understand what I mean. 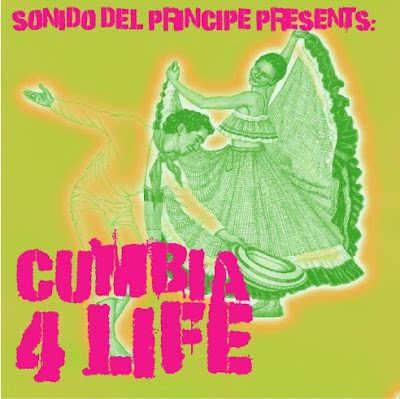 This man is able to ‘cumbiase’ any track. Just listen to ice ice baby or toddla t’s remixes. I cant wait to see death metal songs getting treatment from SDP he he he. 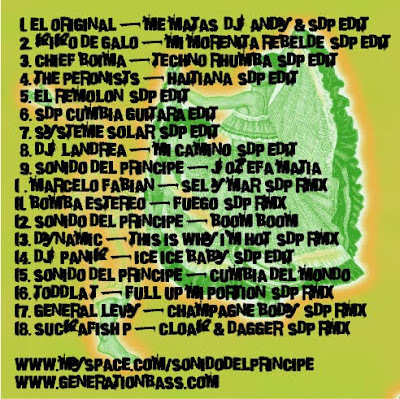 The mix was recorded at Cul de Sac bar, where Sonido Del Principe hosts a monthly night called GENERATION BASS. Thanks to Generation Bass blog for this fantastic tip.